These softsubs are for personal or reference use only. These are not for sale, reposting or re-uploading. If you wish to inform others of it, kindly redirect them here. Do not re-edit and release as your own. If you wish to do anything with these translations, please let me know. You can't DL the subs unless you're currently logged into d-addicts. Subs are in aegisubs format and timed to 480p raws uploaded at nyaa. Thank you very much for picking this series up, highly appreciated.Otsukaresamadeshita. 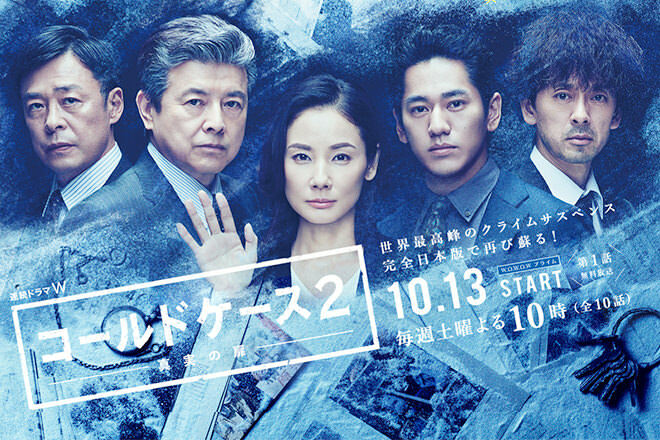 Hi dear, thank you so much for subbing cold case s2, i really appreciate and happy when i know that you continue subbing the dorama from S2. Really, your awasome. And, like the S1, i'll retranslate you subs to Indonesian for Cold Case S2, too. Hope you don't mind i'm do that, if there are please tell me. Otsukaresama, that was so fast! Thank you so much for your hardwork, earthcolors! Thanks a lot for subbing and sharing season 2! Thanks a lot for subbing and sharing episode 02! I just wanted to leave a note of thanks for having subbed both seasons! Been able to enjoy the drama thanks to your work and it's highly appreciated. Thanks for subbing this wonderful series! I have always loved the American version and the Japanese series is just as great. Thank you so much for season 2!! I absolutely love this series. Thanks for making my christmas holiday break brighter.